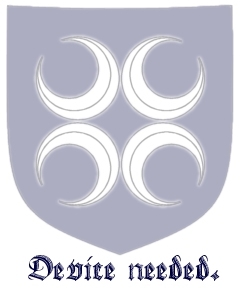 The Order of the Stjarna (Star) of Starkhafn is an award bestowed by the Baronage of Starkhafn. Its symbol is a green star dependant from a cord; with subsequent awards being signified by the addition of green beads upon the dependant cord, one for each subsequent awarding. "Like the stars, here in Starkhafn and throughout the Knowne World, our arts and sciences create the backdrop and the scenery in which we live out the Dream. And, like the stars, the creations of these artists are for all to see, making all of our lives richer. It is in recognition of the importance of those who excel in the skills, creation and teaching of arts and sciences that the Order of the Star of Starkhafn was created." Muirenn ingen meic Martainn, 2006? Meadhbh inghean mhic Aoidhghein, 2006? Meadhbh inghean mhic Aoidhghein, 2007? This page was last modified on 29 March 2019, at 18:42.